The QEII is located on the main level of the House with a private entrance from a large ground level deck. 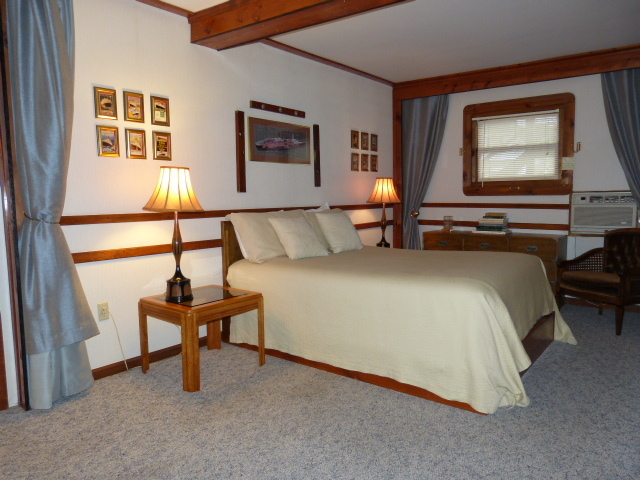 The main salon has a kitchenette, comfortable sitting area with new furniture for 2013, a great view of the Lake, and a queen bed with a privacy curtain to separate bedroom from sitting room. 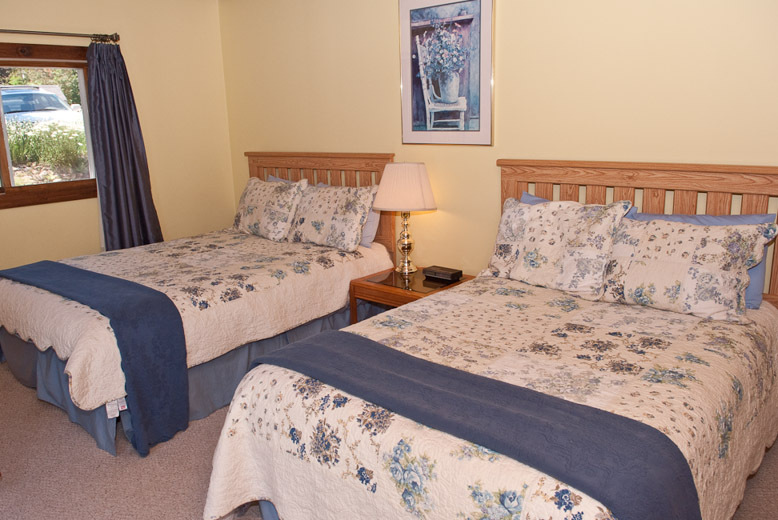 The second bedroom holds a queen and double bed. 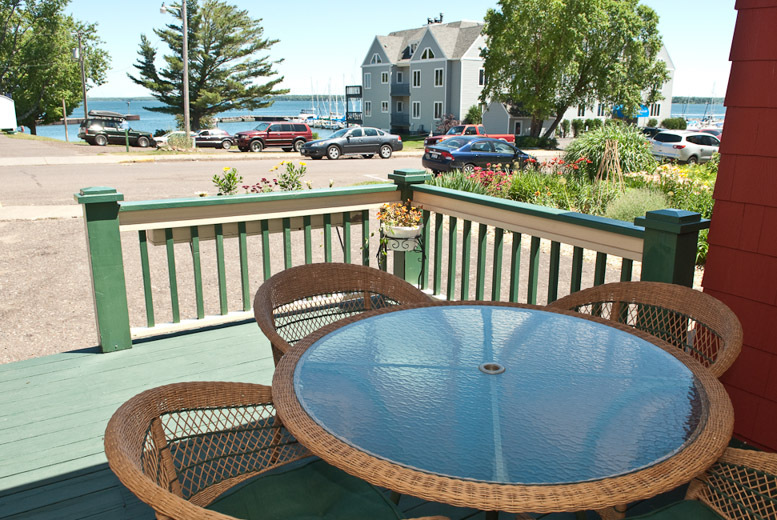 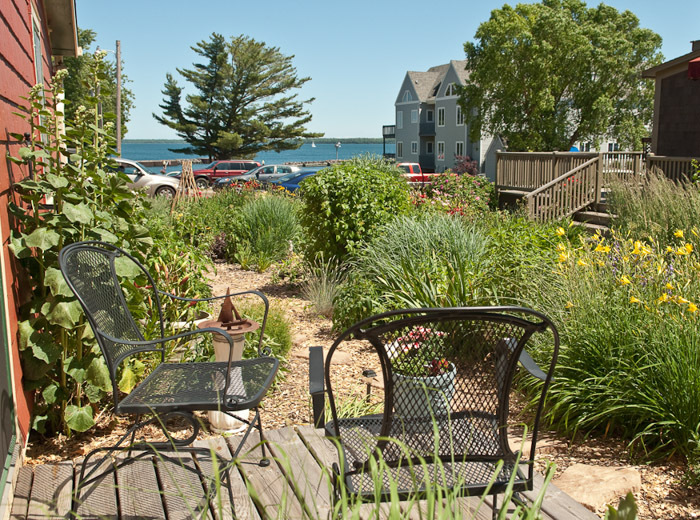 A sliding patio door from this room provides access to a deck surrounded by flower gardens and great view of the City Park and Lake Superior. 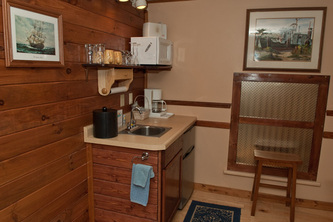 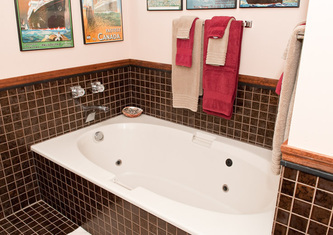 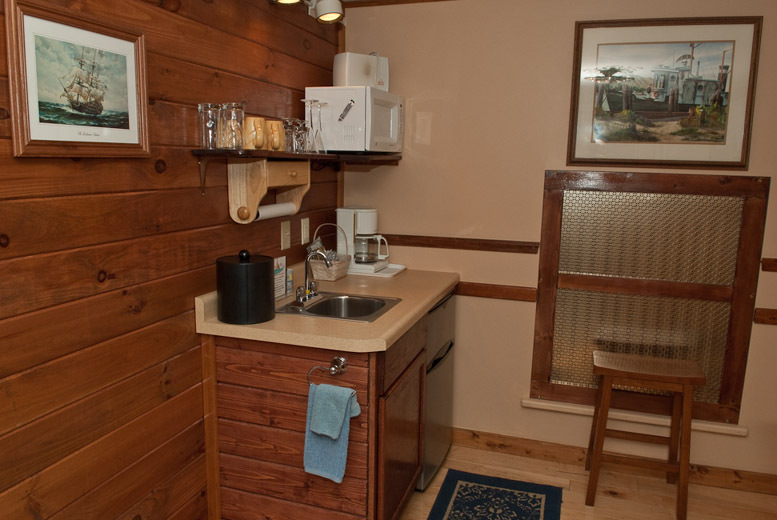 The large bath has a double whirlpool tub and a shower stall. 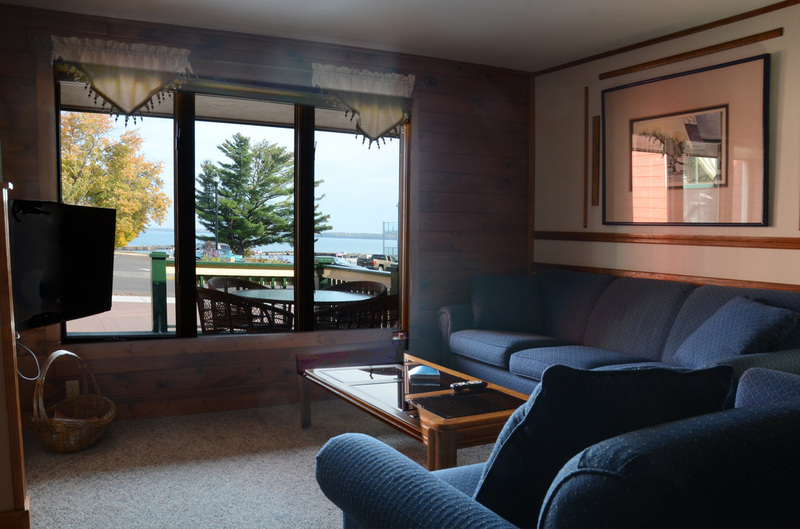 This room is perfect for families who want the comfort of extra space for family members indoors as well as the spacious deck outside to enjoy the Lake and the fresh air of Bayfield. 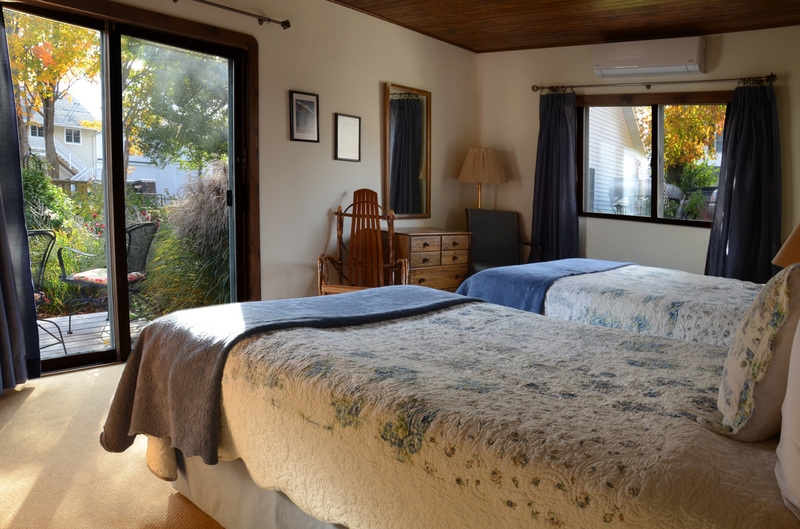 May 15th- October 31st - $239--$279 per night based on up to four occupants. 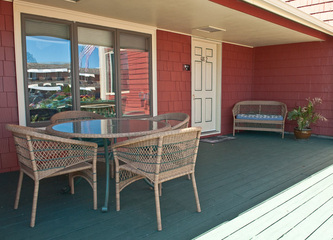 November 1st- May 15th - $169--$189 per night for up to four occupants. 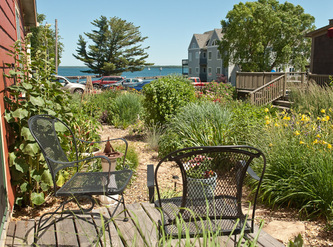 The Isaac Wing House is managed by the Bayfield Inn. For availability, call (800) 382-0995.